As an owner or manager of a fast food company, one of your biggest concerns when undertaking a store fitout is whether the investment will be worth it or not. Fitout projects are not only expensive, but also consume a lot of time and energy from the company, so ending up with a subpar result might put a damper on your subsequent store operations. 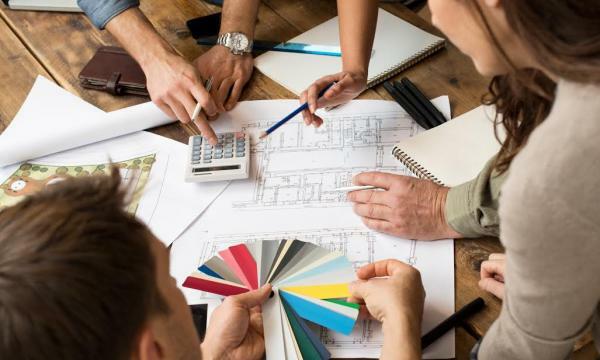 To get the most bang for your buck, there are four big questions that you should ask during the planning stages of a fitout project, says Scott Peatey, Managing Director at Aussie Fitouts, one of the leading fitout companies in Australia with more than 20 years industry experience. Question 1: Have you looked at what you want in the end result before you even start the process? Question 2: Do you have clear designs in mind? Once the end result is visualised, clients should then work with their contractors and staff to come up with detailed designs. Firms like Aussie Fitouts can assist clients by proposing an array of options. Then through design consultations, clients can decide on final project details. “We believe in a fully engaged interaction between our client and the designer however we often join in the process to provide advice from a building and cost perspective to help our clients get the best bang for their buck,” says Peatey. Question 3: Are you allowing adequate lead time for the project? A big source of disappointment for fitout clients is when the project does not get finished on time, resulting in store opening delays and a loss of potential revenue. The delays might even hurt the brand as expectant customers switch to more reliable competitors. On the other hand, opening too early with substandard fitout quality might leave a bad impression on diners. Clients should make sure that a fitout project is given enough lead time, or choose more experienced firms like Aussie Fitouts that can work faster even with a constrained budget. Question 4: Are your expectations realistic? At the end of the day, a fitout project will be labeled as either a hit or a miss, and having overblown expectations will make it hard for you to celebrate it as a success. Peatey says that their firm helps keep expectations within reason by agreeing on deliverable expectations throughout the length of the project.